Today, every company is a health company, no matter its size or its industry. So says Professor John Quelch, who convened a 300-person conference entitled “Building A Culture of Health: A New Imperative for Business” on the Harvard Business School campus on April 18-19. As its name suggests, the conference focused on generating awareness of what Quelch says are the four component parts of the health footprint of any company: consumer health (the safety and utility of products and services), employee health (including benefits and the wellness of both direct employees and indirect employees up and down the supply chain), community health (the impact an organization may have on a surrounding town or area, culturally and economically), and environmental health (often thought of as sustainability). Though they may handle each individually at present, the challenge for contemporary organizations is to better integrate their approach to all four in the future; the upshot of doing so is that building a culture of health represents a huge business opportunity. 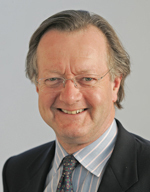 Quelch, who holds a joint appointment as the Charles Edward Wilson Professor of Business Administration at Harvard Business School and a professor in Health Policy and Management at Harvard T.H. Chan School of Public Health, partnered with event co-chair Howard Koh, the Harvey V. Fineberg Professor of Practice of Public Health Leadership at Harvard Chan, as well as the Robert Wood Johnson Foundation, to host the 300 attendees at the invitation-only event. The attendees were comprised of about 60 percent private sector participants, 20 percent public policy makers and regulators, and 20 percent academics. Quelch noted that outside of the federal government, the Robert Wood Johnson Foundation is the principal funder of health policy in the U.S. and has been very active in the last year or so embracing the culture of health concept.